Nishimura gallery is pleased to present SOYA Asae's solo exhibition, 'Prism’, from Tuesday October 23rd to Saturday November 17th, 2007. As a painter, Soya has been continuously active, and has been recognized for quite a while, especially since she won the grand prize for 'The 6th Exhibition of Showa Shell Sekiyu Contemporary Art Prize’ in 2001, and also in the next year, won the VOCA prize at 'Vision of Contemporary Art 2002’. In 2005, Saison Museum held the two men exhibition of her with SAITO Meo, titled 'ART TODAY 2005’. This 'Prism’ will be Soya's longtime awaited fist solo exhibition in our gallery. SOYA Asae was born 1974 in Kanagawa prefecture, conferred a doctorate for painting major of Tokyo University of Fine Arts and Music in 2006. As it is seen in the VOCA winning piece, bathtubs have been one of her major subject continuously until her recent works. The way she depicts it, there are features; smooth textures of the tubs, geometric movements of ripples, and the massive rainbow sunlight evokes smells of soap or moisture that comforts the viewers, which are seen almost always as her stylemark. 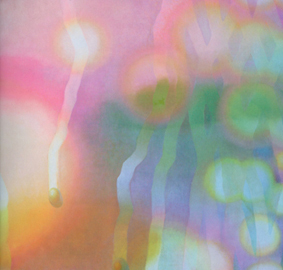 She renders complex gradation of colors by layering thin paintings. It may take the viewers' senses further from symbolism of visual content, and invites them to the sensually "comfortable room” provided by the painting; in the way, the feeling that Soya’s works convey is environmental. Soya’s works has an effect to specify the ambience of the space in which the work is exhibited, the light and all sensuousness in the paintings seems to extend and replace the air of the exhibition room. Those features are also vital in her recent works, yet within some new motifs; water drops on glass window or serene scenes of an airport. This exhibition 'Prism’ includes 15 oil paintings and 10 pastel drawings. 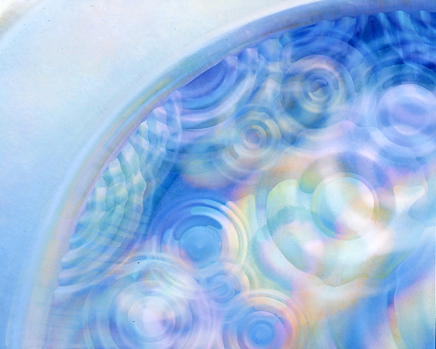 The painting "Circles” (2007) delicately captures sunlight floating on the surface of water in bathtub. 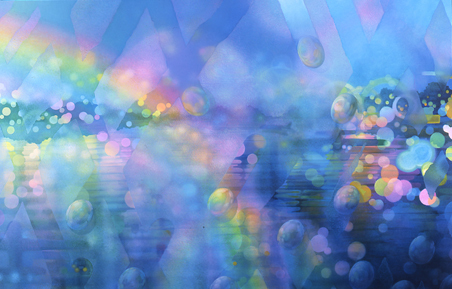 Mysterious "Water Drops” (2007) shows a blurring landscape emerging outside the rainy wet window. The three "Slider” series (2006-2007) is visualizing a rippling light casts underwater in oblique angle depicted in three types of tones. In those several different ways, Soya ambitiously tries to lead the viewers to the "comfortable room” she prepares. The artist’s new attempt is more clearly seen in the painting "Airport”; between the rainbow sunlight, the scene seems to have more narrative elements than ever before. We hope you to enjoy walking into her "comfortable room” of prismatic colors that Soya's works create. Soya is going to participate the group show in Yokohama Civic Gallery, Azamino this October and also the exhibition presented by Tokyo Station Gallery at Old Shimbashi Station and Break Station Gallery, Ueno this December.